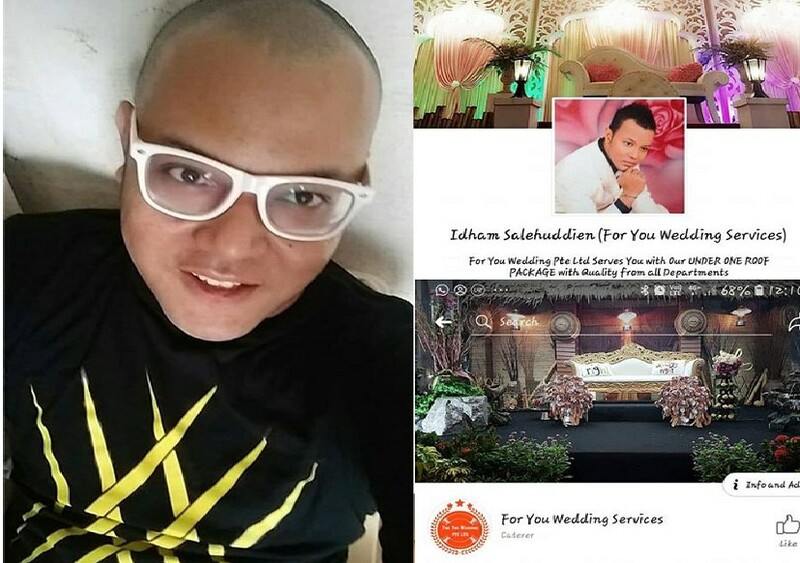 BEWARE OF THIS WEDDING PLANNER! $14,000 CHEATED! You are at:Home»Caught In The Act»BEWARE OF THIS WEDDING PLANNER! $14,000 CHEATED! I rarely post on social media, but I feel that I have to do this to warn others about what had happened to me and my family. I had engaged For You Wedding Services for my big day, which is in abt a month’s time. When I signed up, my family and I spoke to the boss, Idham Salehuddien, directly. Everything was ok during the discussion and contract signing. We agreed with the company’s policy to make 80% payment before the wedding. He told us that he got cheated before and all that sh*t, that’s why now all his clients need to make 80% payment before the wedding event. 2 weeks ago, his girlfriend/assistant, Mia, and him came down to my place to collect $9100. I was happy that I have settled everything for my wedding. But my worst nightmare came true on Saturday when I found out that the company had closed down and I read a few online posts regarding them. Both of them are now uncontactable and have disappeared with my money, along with the money of other brides and grooms who had engaged their services. To Idham Salehuddien, you think you are smart & good with your words. You can’t run & hide for the rest of your freaking disgusting life. I had worked so hard to save up for my wedding. It took me years to save up, but you happily took my $14k and run. You have given me & my family a hard time, because of your heartless actions. Now we need to find alternatives & I need to find more money to engage new vendors, all within a month! Skg kau tipu & aniaya org. Org keje mcm nk gile, save duit titik peluh kite, kau senang2 bawak lari. Kat akhirat tgk la mane kau nk lari nnt. Beratus ribu boleh kasi kau hidup snng sekejap je, tkle bawak masok dlm kubur pon. Whoever who knows him, pls bilang si botak nie hidup tk kn selamat menipu org. Lastly, to all future brides & grooms who are in the same boat as me, be strong & doa byk2 guys. Insyaallah majlis kite smua masih boleh diselamatkn & smua berjln dgn lancar.